Come and join us for new year countdown at BAR BAMBOO and IZAKAYA TAKE. 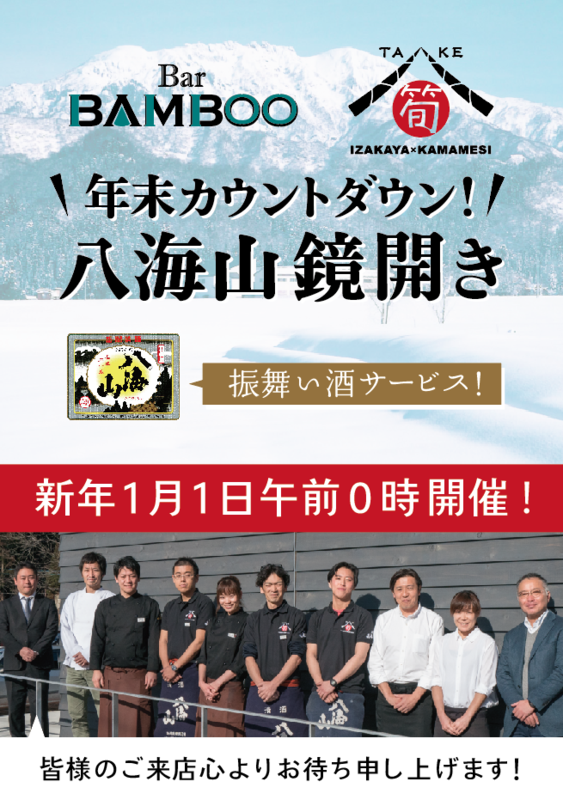 We will held the sake barrel opening ceremony “Kagami Biraki” on January 1st at 00:00! Let’s get together and celebrate the new year! We will be serving light snacks and drinks until 2am. Please note that the Izakaya part ends at 10:30pm. We are waiting for to see you all at the special night!